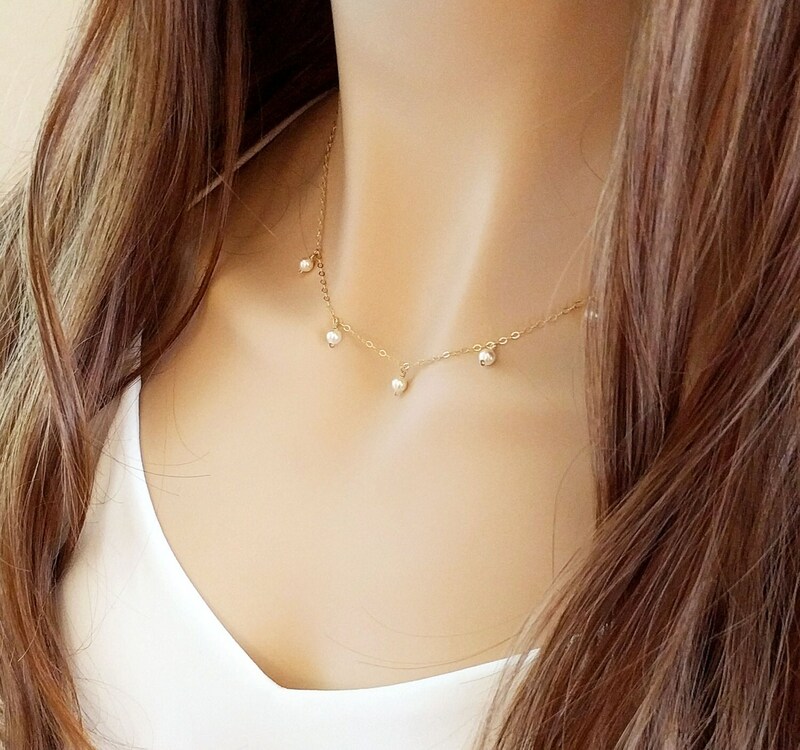 Tiny Multi Pearl Necklace★ Perfect piece for layering! The most delicate and shimmering chain is literally dripping with these tiny little swarovski pearls (4mm each, creamy). Five pearls are hand wired to the chain, all compontents are sterling silver or gold fill. The necklace pictured measures 17 inches, and is completed with a round spring clasp. *The children's sizes include a 2-inch grow chain!